A small, independently-financed film exists that captures, with utmost realism and gritty immediacy, the experience of being an American soldier in Iraq during the 2003 invasion. No, it’s not Kathryn Bigelow’s “The Hurt Locker,” which took home an Oscar for Best Picture Sunday night. Instead, it’s Kristian Fraga’s first-person documentary “Severe Clear,” which is being released tomorrow at New York’s Angelika Film Center and San Diego’s Gaslamp Stadium, and will be released elsewhere in subsequent weeks. In trying to document everything he experienced in the Marine Corps for a book he was planning to write, First Lieutenant Mike Scotti shot about 20 hours of footage with a miniDV camera as he waded his way through Pakistan and Afghanistan, and then through Iraq during Operation Iraqi Freedom and beyond. Fraga then edited Scotti’s footage into a feature-length, distinctly cinematic experience. In addition, he structured the film in chapters, as if it was the book Scotti never wrote. The Wall Street Journal: How did the idea for this film came about? Kristian Fraga: One of our interns at the time [late 2003] here at Sirk Productions [the production company behind the film] was going to New York University. And he came to us one day and said, listen, I met this really interesting guy today at NYU. 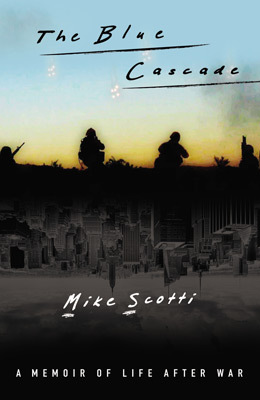 His name is Mike Scotti, he’s just back from the war in Iraq, and he was literally walking around the halls of NYU holding a bag of miniDV tapes that he had shot when he was in Iraq. We met, and I knew right away his was a story I wanted to tell. And once I saw the footage, I began to realize that this wasn’t what I saw in the comfort of my living room in New York City watching it play out on television. Mike, were you actually studying at NYU when this intern discovered you walking around with your bag of miniDV tapes? Mike Scotti: I was not. I was living on MacDougal Street, working at the New York Mercantile Exchange, studying for the GMAT to try to get to business school. I just knew that NYU’s Tisch was the best for film, and I was looking for a bright young student to be able to edit everything together so that I would not have to flip through 20 different miniDV discs showing my family and friends the cool parts. So I was planning on pulling one of those things off the wall that says something like “editor available, call.” And then I met one of [Sirk Productions’s] freelance editors in the hallway. It was pure luck. So you had initially just wanted someone to edit your footage to a manageable length? Scotti: Yeah. It was a way for me to capture what happened, and to write a book. That’s really what it was for, which is why you see the film unfolding like chapters in a book. Throughout the editing of the footage, Kristian, how closely, did you consult with Mike as far as making sure things were accurate as portrayed on the screen? Fraga: The whole process took about five years. I read everything he wrote [and watched everything he shot]. An assistant of mine sat him in a room for weeks, and we literally made him write everything, because I told him, the only way I can really do service to your story was if I know it. I wasn’t interested in the historical dates and this and that, because the whole point was to try to give the audience the idea of what Mike Scotti’s journey was. So to do that, at first, we made him come every day. I’m sure I drove him insane, we had some heated times—but most of the time, it was a great partnership. Have either of you seen “The Hurt Locker”? Scotti: I loved it. It was a great film. How closely do you think that film mirrors your experience in Iraq? Scotti: …and dealing with screaming kids. Fraga: Yeah. And that’s the point of the movie. 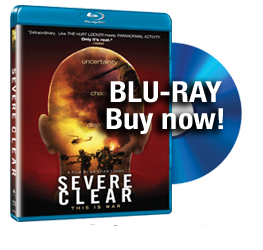 I often say “Severe Clear” has no answers, but hopefully it raises a ton of questions, because that’s the stuff I’m interested. When they come back, what has that experience done?